My former co-workers teased me anytime a new release made its way from the backroom to the floor displays (I was sure to have squirrelled one away under Staff Holds by then). Even my Estée Lauder and Chanel Sales Associates know me for it, excitedly whipping out the newest offering from their lines as soon as they see me coming. I'm a sucker for palettes, but I hold them to a high standard. The smaller ones have an easier time of it, since a concise theme or superlative design can trump versatility and price. With the big "blockbuster" palettes, on the other hand, I expect the whole package: a full range of neutrals and gorgeous pops of colour, a compact and practical, if not beautiful, design, and a price that makes it a value too good to pass up. 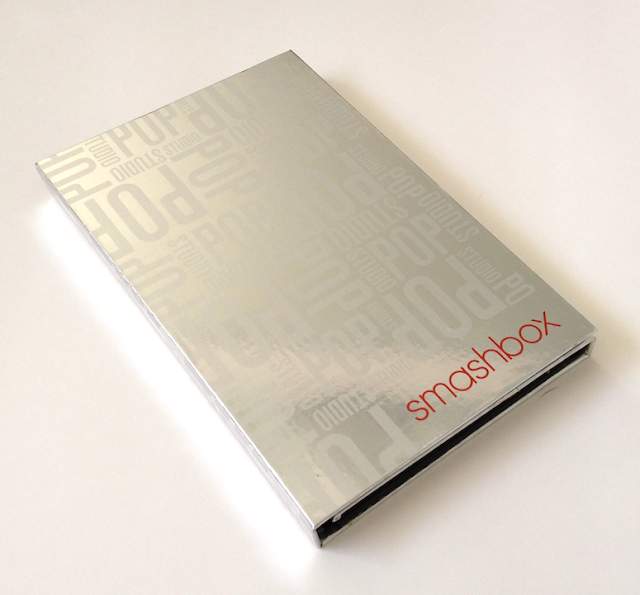 The Smashbox Studio Pop Ultimate Palette is the Muhammad Ali of blockbuster palettes for 2012 - the one, the only. It was actually the very last one I acquired and tested in that year, and man, what a way to finish! The eyeshadows look like they were placed a little cockeyed in the palette. When I inquired whether this was a common occurrence or just a one-off with mine, the folks at Smashbox assured me that it was an odd incidence and they very kindly offered to send me a new palette. I declined, since it doesn't in any way affect the quality of the shadows themselves. I plan on depotting the whole anyway, even though the packaging is very streamlined and practical considering the amount of product it contains. Yeah. See all that in there? That's for 59$ USD (or about 70$ CAD). That's 45 eyeshadows, 6 blushes, 9 eyeliners and 6 glosses. 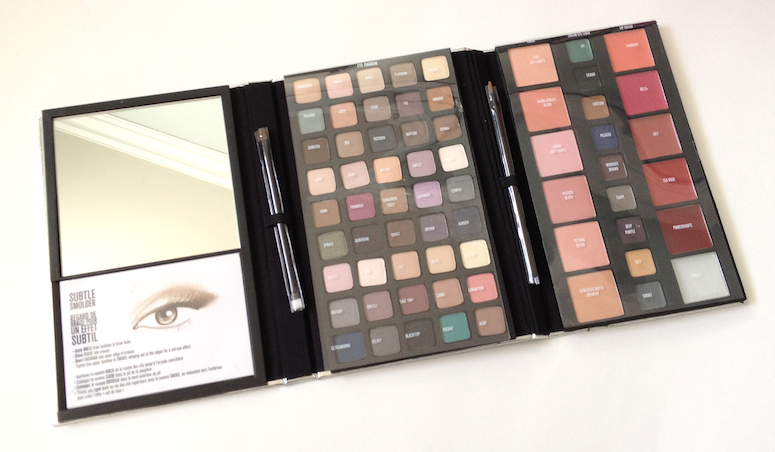 Plus a mirror, some brushes and fancy tutorial cards (in French and English, no less!). Even if you got it for just the eyeshadows, that's less than two dollars per shade. Which. Is. A. STEAL. These aren't the watered-down version, as tends to be the case with blockbuster palettes. The quality of the eyeshadows ranged from good to excellent. 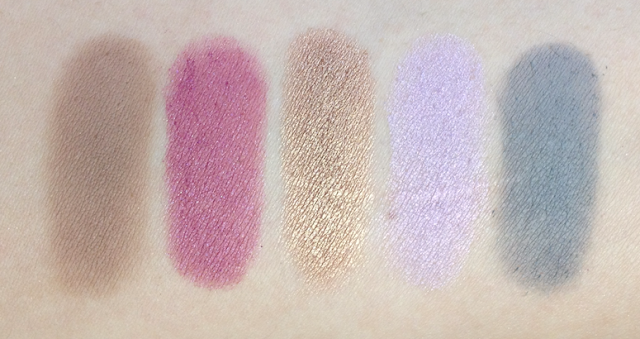 All of the shades were pigmented, with the metallic and shimmer shades having intense payoff and a very dense, incredibly creamy texture. 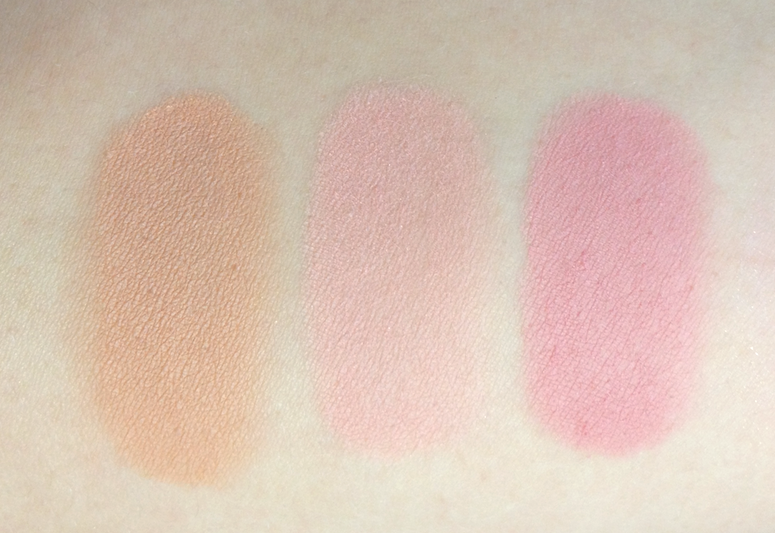 The matte shades were soft, silky, with a slightly drier feel and great payoff. 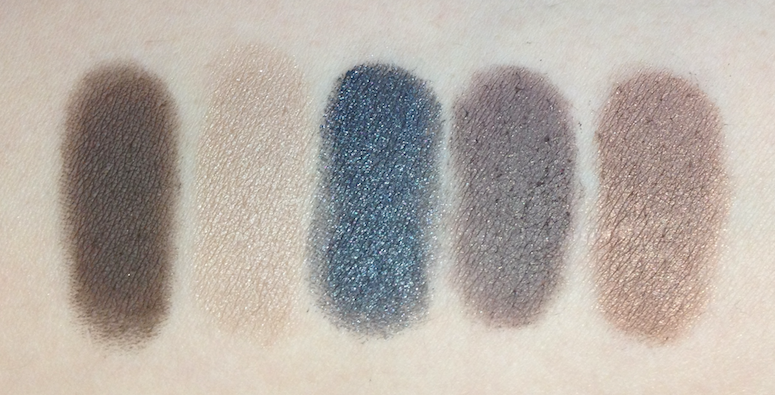 The very darkest matte shades had okay payoff but kicked up some powder on application that called for a lighter hand and more careful blending. Overall most of the shades applied well to the skin, without turning muddy. The shades with micro glitter did have some sparkly fallout, but the glitter actually showed up well on the lid, compared to many shades of this kind that look amazing in the pan only to go pfft! when applied. The bronzer and blush shades are fantastic - soft, smooth, nicely pigmented and super easy to blend and diffuse. 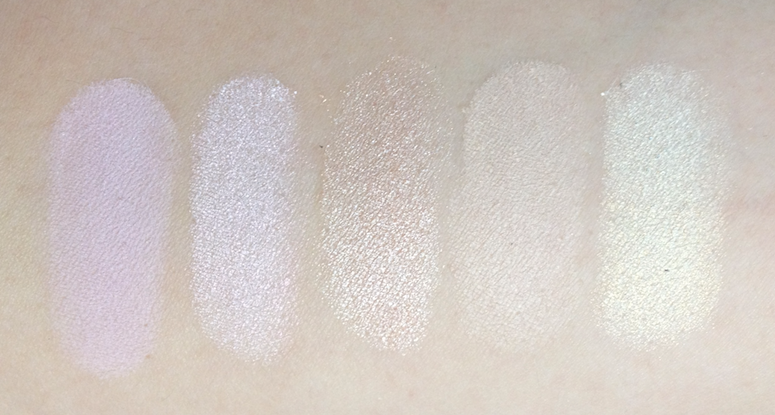 The Soft Lights are more glittery (versus shimmery) than their "regular" versions in the full line, so I would recommend using a lighter hand than usual. These shades would best suit light-to-medium skin. 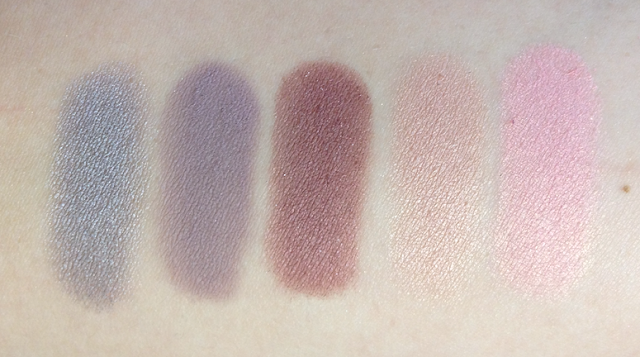 Smoke, Gilt, Deep Purple, Taupe, Midnight Brown, Picasso, Fortune, Caviar, Ivy. Still with me? Wait, THERE'S MORE. Lipglosses. Non-waxy, hydrating, comfortable lip glosses. 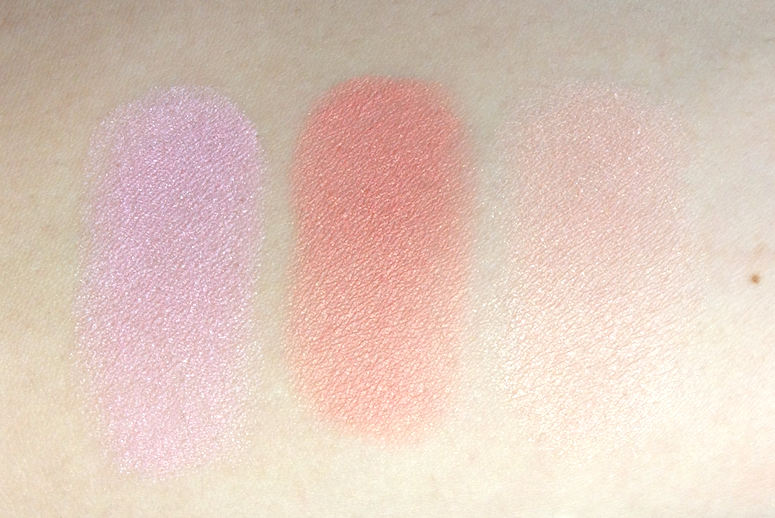 Light to medium in terms of coverage, though both Pomegranate and Bella can be built up to rich stains. 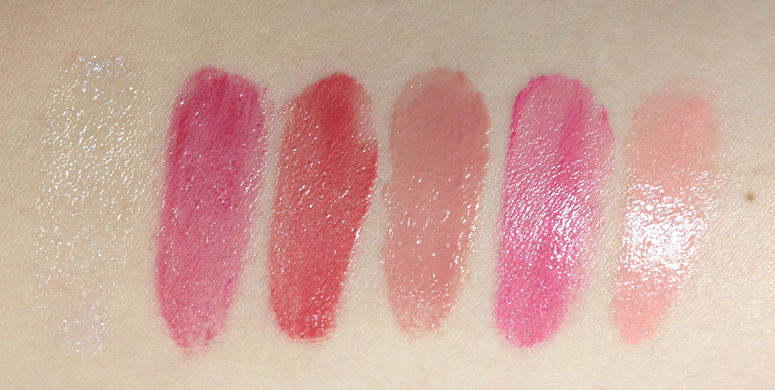 They leave a nice, natural colour on the lips without an overly glossy finish. Guys, this is a SERIOUS palette. It'll cover your workday, evening and weekend needs, and then some. Add in your base/concealer, mascara and maybe a lipliner, and you are good to go. I'm not surprised this is sold out pretty much everywhere (Sephora, Nordstrom, Ulta), but if you happen to stumble upon it at a physical location (I spied an errant box or two at my local Pharmaprix), pounce, I tell you. POUNCE. If, on the other hand, you are living in a sadly Studio Pop-free world, or this is more product than you need, I suggest taking a look at the Studio Pop Eye Palette - a svelter version without any of the face or lip accoutrements. So what about you? 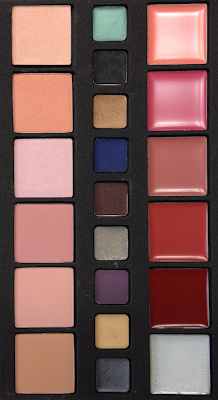 What stands out in your mind as the blockbuster palette of 2012? Wow this looks like an amazing palette! It is! I'm really surprised there wasn't more buzz about it. I waffled on it myself until the last minute. Okay, so I purchased a palette in the beginning of last year I believe from QVC. It was the Smashbox Photo Op Mega Palette. It was very similar to this one, except that the outer covering was shiny red. I paid about $93 for it. 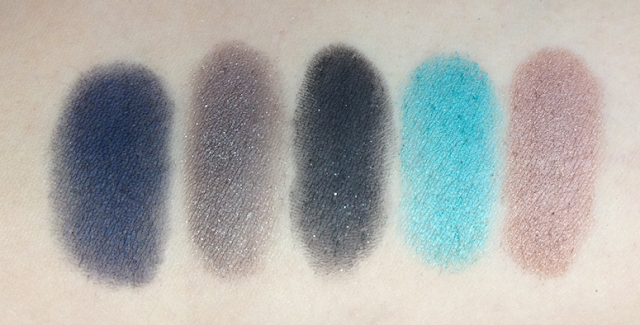 I have to say that I wasn't too impressed with Smashbox eyeshadows. Until then, I had only tried one of the primers and a lip gloss. Nothing out of the ordinary, or particular that stood out. I don't know, it just seemed like the eye shadows were chalky? Some even looked so similar to the other. Reminded me of Tarte eyeshadows. I ended up returning it a few days after. 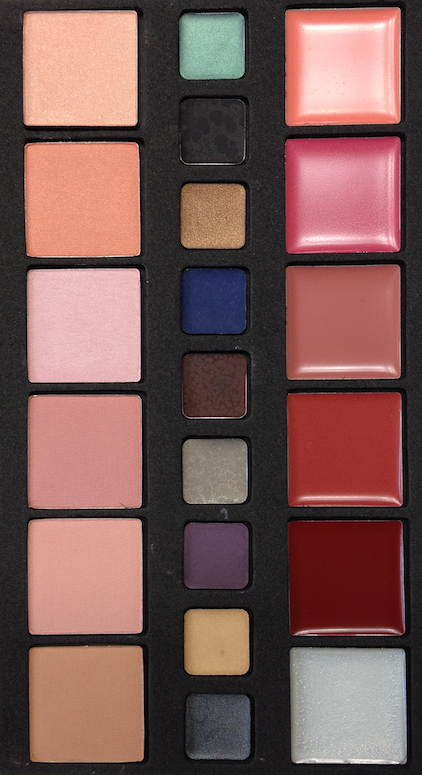 I do like how the palette is an all in one, which makes it great for travel and the like. I don't know, maybe in the future I will bring myself to try Smashbox again. The palette that stood out in my mind in 2012? I don't remember! Ha! I read a lot of mixed reviews about that Mega palette as well, which is partly why I waited so long to get this one. 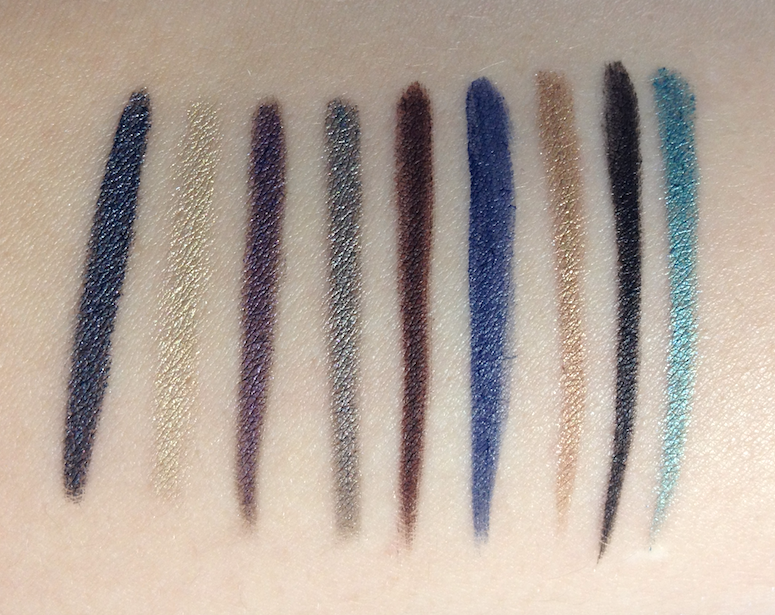 I was also a little burned by their old eyeshadow formula back in my Sephora days - I found it dropped down and wandered a lot throughout the day. They did reformulate since then. Tracy from Beauty Reflections convinced me to get it, and I'm glad I took a chance. 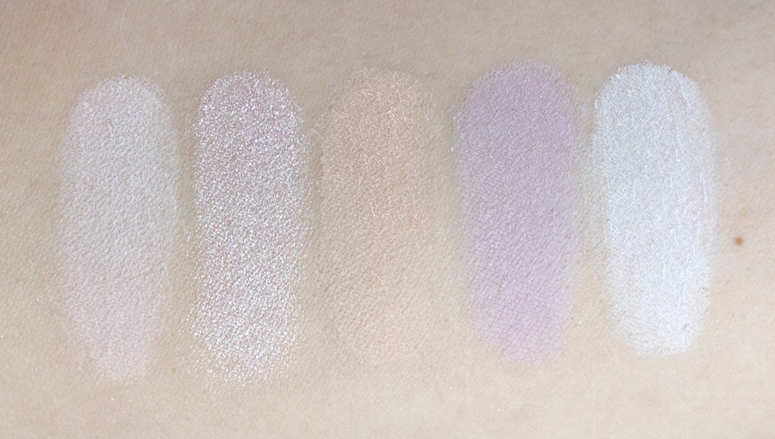 It's not OMGTHEBEST eyeshadow formula, but it is very good overall, definitely not chalky, and certainly head and shoulders above any of the other big palettes that came out this year. 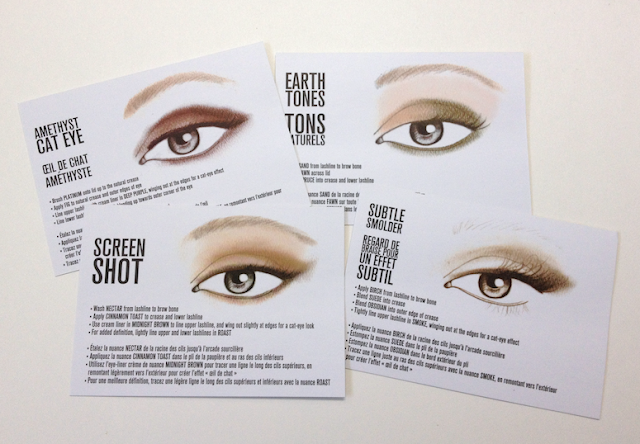 I'm definitely willing to give some of their current palettes and trios a try now! Holy crap. That is an insane palette!!!! And with so many great shades and what looks like excellent pigmentation! And so many TYPES of products! Geez louise...scares me to death LOL. I love looking at palettes but I get overwhelmed owning them, because if a shade or two (or 10) don't get used, it gives me a complex. Stupid, but that's how I roll. BUT! This would make an awesome gift for someone who could use a major beef-up to their collection. Amazing, Maggie! 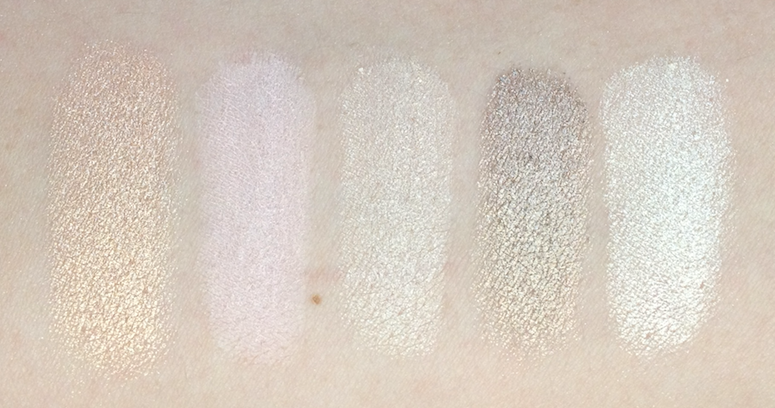 Dude, it took me fooooreeeeever to swatch these. I almost didn't review it, because I figured "hey, it's already sold out almost everywhere" and "OMG 45 eyeshadows, kill me now". 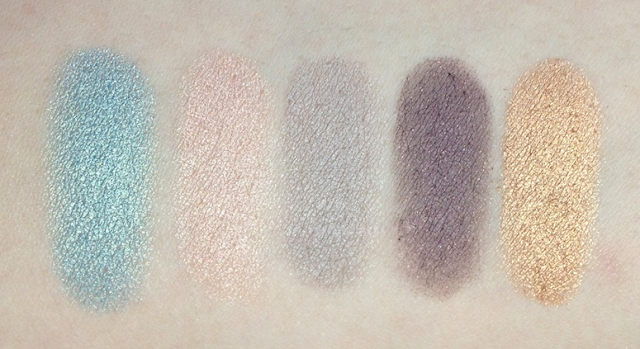 But it was worth it because it's a pretty awesome palette, dammit. I totally agree that this would be an excellent gift for someone with a relatively small collection. It's a well planned, substantial and useful palette - much better than those Sephora blockbusters everyone keeps getting their nieces. Urgh, those just need to die a flaming death. They always smell like cheap, gross plastic to me. 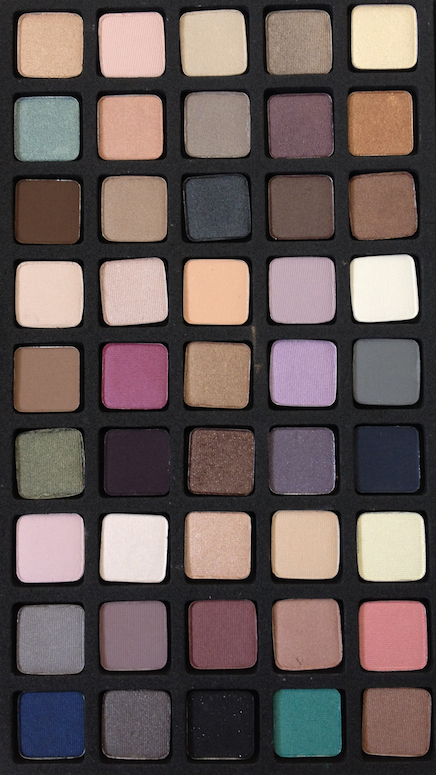 Best palette ever. I got it for $40 at an outlet store. I use it everyday. Best $40 I've spent on make up. I've used it for so many weddings and parties too. Love it.